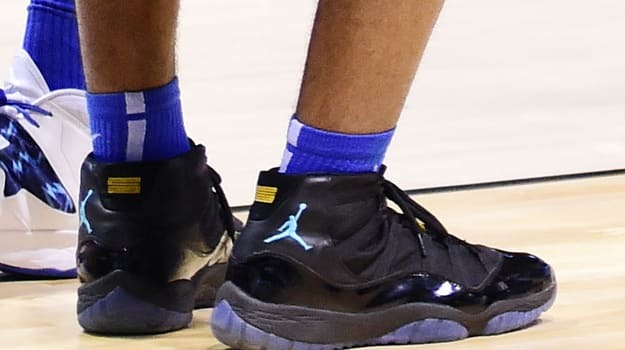 Aaron Harrison Sends Kentucky to Final Four with Game-Winner in the Jordan XI Retro "Gamma Blue"
At least one of the Kentucky Wildcats twins&apos; powers activated tonight. 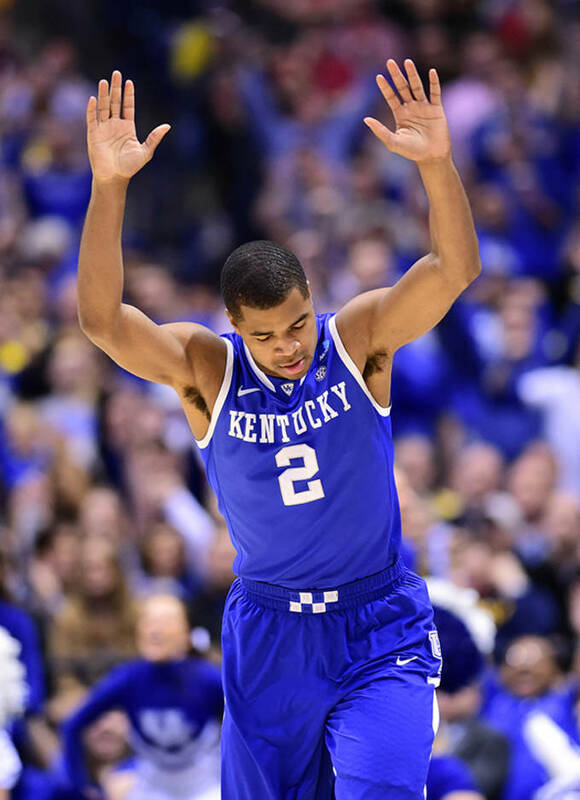 The Wildcats are moving on to the Final Four and they have to thank Aaron Harrison for his big moment near the end of the game. Harrison had 12 points which all came from three-pointers. His most important trey was a long bomb with just 2.3 seconds left giving Kentucky what would become the final score of 75-72. Harrison experienced his clutch moment in the Jordan XI Retro "Gamma Blue" during the game. Will he continue wearing these after the positive vibes came through for him tonight?